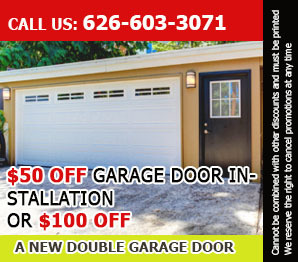 When it comes to garage door services, Garage Door Repair Covina is already a go-to place for many people. This is a testament to the quality of service that we strive to offer our clients. However, we do provide services other that garage door repairs. Our company now offers gate repair services as well. Our technicians are well trained and equipped to provide the best quality of service for our customers. They are knowledgeable in dealing with all possible gate-related issues that may arise so that they can provide the right solution for every problem. We make it a point for our people to be updated with the latest trends and innovations in the gate repair service industry. This gives them a deeper knowledge as to how they will deal with the job at hand. We provide all sorts of gate services from installation to replacement. Of course, along with that is repair and maintenance for the unit. This will ensure that our customers will greatly enjoy using their gate for a long time. We provide gate installation services for all gate brands, types, and sizes. Our people are well trained to install both residential and commercial gates. If you are planning to have an automatic gate installed, we are the best place to go to. Our contractors can expertly install your gate and the openers. Clients and customers can rest assured that the gate and its openers are installed properly and that all safety precaution are given adequate considerations. We also offer gate maintenance services. While gate maintenance is not as urgent as repair services, they are important in ensuring that the gate will not need any repair services for a long time. Gate maintenance such as lubricating and cleaning of moving parts can be done by the owner, but it should be noted that other maintenance tasks require a professional’s expertise. These include calibrating and maintain excellent working condition of the openers. Professional maintenance service can also help in determining potential issues with the gate and stopping it from escalating into something troublesome. Aside from gate maintenance, we, of course, provide gate repair services. These cover simple repairs, to providing solutions for complex gate problems. Broken gates are dangerous. It should also be noted that unserviced gate continuous to pose the same threat to all around it. Other than being dangerous, broken or stuck gates also cause delays as it would be a problem to open them. That is why professionals should be called in to provide the necessary repairs. Gates are very important as they provide passage and security. That is why they should not be taken lightly. Enough time should be given in choosing the bets gate that would complement the overall look of your property. A certain amount of care should also be exercised when installing them to ensure proper functionality. Also, they require regular, simple care as well as professional maintenance. This is to ensure they will not break down easily. Lastly, they demand immediate attention in times that they sustain damages to avoid headaches and other dangers. Garage Door Repair Covina is here to provide you assistance from installation to repair and replacement of gate and gate parts. Talk to us now!